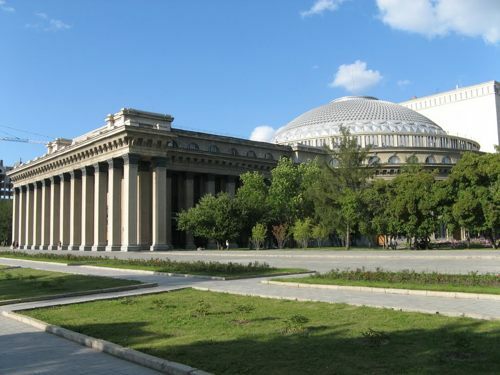 Novosibirsk is a fantastic destination to organize educational and captivating tours for pupils of different age. This city is rich with tourist sights that every student or pupil would like to visit at least once in life. Novosibirsk Zoo and Center of Oceanography and Marine Biology Delfiniya can become a wonderful start for any traveler. Travelers will also love the outdoor museum with its train cars and locomotives that date back to the early twentieth century. The Children and Youth Planetarium is, of course, a must see too. There are educational programs and a small exposition of space items organized here. A marvelous city scenery opens from the Planetarium as the tickets are impressively affordable. Other museums you ought to take the young travelers are N. Roerich's Museum, Novosibirsk State Art Museum, Museum of The Sun, etc. Once you have made up your mind to organize a tour for a large group of children, you need to make sure each of them will have a comfortable seat on a trusted means of transportation. 8Rental should become your starting point. This car rental service offers the largest fleet of buses to accommodate as many passengers as you expect. Here you can hire professional chauffeurs that will drive all your young passengers safely regardless of how active they are during the transportation. Let us provide you with more detailed information on what you will get by hiring a bus from the most respectable car rental with driver in Novosibirsk. Send us a quote by filling in all your wishes and requirement and we will take care of everything else for you! 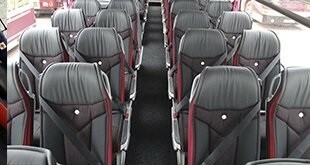 8Rental has created an impressively large fleet of most diverse coaches to choose from. Depending on the number of children you intend to drive around Novosibirsk, you may book a Mercedes Sprinter or Tourismo. The first vehicle model is designed for transporting only up to twenty-four passengers. This coach has everything necessary for the travelers to feel comfortable during the tour. The coach is in perfect condition and looks simply amazing. Driving in this vehicle, your travelers will have CD, DVD and stereo radio, as well as air conditioning, heating, audio system at their disposal. Mercedes Tourismo, meanwhile, is even more luxurious and convenient for driving long hours in Novosibirsk. Besides all the amenities provided in Sprinter, there are hot drinks facility, a toilet, a fridge, seat belts, reading lights, reclining comfy seats in aircraft style and many other extras at your full disposal if you hire this coach with a driver in Novosibirsk. Drivers are the pride of 8Rental vehicle supplier. They are true professionals with years of experience and a responsible approach to every client. Our skillful drivers know every road of this city by heart. Hence, all that you need is to rent a chauffeur driven coach in Novosibirsk and tell the direction and your group of students will be driven there safely and quickly. By the way, besides Russian, our drivers speak Dutch, French, and English. 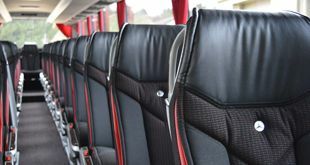 This respectable coach rental service provides a number of extras for each and every customer. The fuel for the entire traveling is included in the offer, as well as the health insurance. 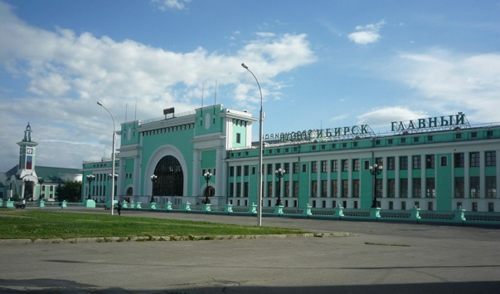 Moreover, this service will gladly provide a brief plan of where to take your huge group of pupils to see Novosibirsk and what to learn about the city.